When it comes to weddings toasts, Prosecco is quickly becoming the new Champagne. 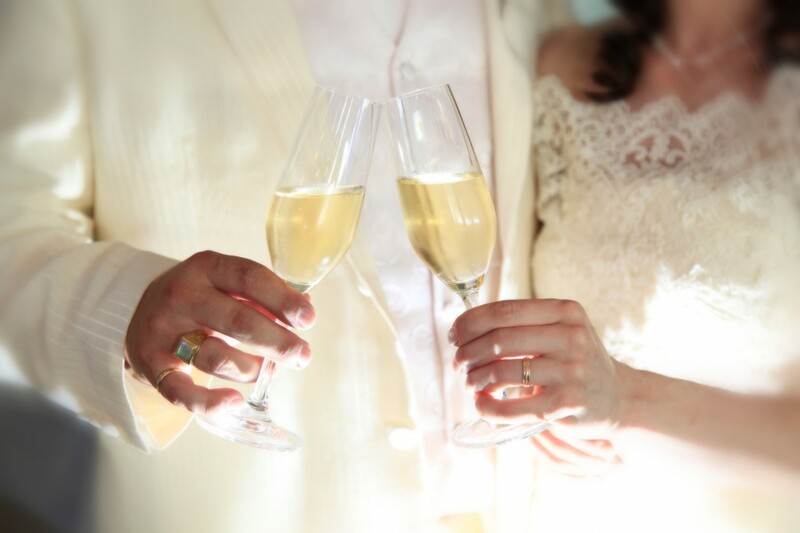 Traditionally Champagne has been used to toast the new bride and groom on their wedding day for years. The fizz and bubbles of the sparkling wine was, and still is seen as a luxury item and it was only really brought out on special occasions. As cheaper Champagnes have entered the market, the prestige of Champagne has diminished and this has opened the door for a new kid on the block when it comes to wedding toasts – Prosecco. The first question to answer is what exactly is the difference between Champagne and Prosecco? Well, first up, they originate in different countries. Champagne can only be called Champagne if it is made in the Champagne region of France – if your bottle comes from anywhere else, it’s an imposter. Prosecco on the other hand come from Italy and is made in the Veneto region around 15 miles north of Venice. Next up there’s the different grape varieties used to make the two sparkling wines; Champagne uses a blend of only three grapes: Chardonnay, Pinot Noir and Pinot Meunier. Prosecco on the other hand is made with one variety: Prosecco which is sometimes known as Glera. Next up we have the way these two bubblies are made. Champagne is produced using an expensive method called the ‘Traditional Method’, a longer process which involves a lot of different stages. Prosecco on the other hand is typically produced using the ‘Tank Method’ or ‘Charmat Method’. This process has a lot less stages and is therefore much cheaper to produce. Related to the production method is the final point of difference between the two: the cost. To get a good entry level Champagne which would traditionally be used at a wedding, you would be looking at around £30 a bottle. For the same entry level bottle of Prosecco, the cost would be closer to the £8-10 range which is a huge difference if you have 100+ people attending your wedding. Why are people switching to Prosecco? Looking at the facts, it would seem the most obvious reason why people are switching is cost but that’s not necessarily the case. Although it is much cheaper to cater for Prosecco at your wedding than Champagne, people often save up for years for their wedding and the toasting beverage is not usually a deal breaker when it comes to items where money can be saved. People also like the prestige at their wedding; they don’t want to be remembered as the people who served up the average tasting sparkling wine to toast their marriage. Champagne definitely still carries a lot of kudos but what we musically fans hack have found when catering for weddings and other large events is that people simply prefer the taste of Prosecco. They find it a touch sweeter with softer bubbles making it much easier to drink. There is also something romantic about Prosecco – it seems easy to imagine a small rural town in Italy where these Glera grapes are lovingly cared for, producing this delicious Prosecco. 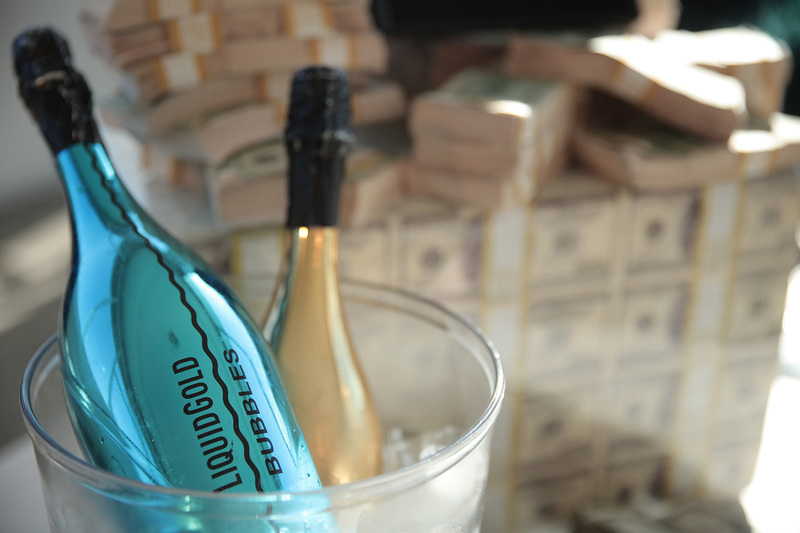 High end Prosecco or low end Champagne? The bottom line is, people are definitely switching to Prosecco for their wedding toast and maybe that’s because for the same price as an entry level Champagne, you can go all out for a real high end Prosecco. Whatever the reason, Liquid Gold has some show stopping Proseccos that will bring a touch of sparkle to your big day so be sure to check out our full range.